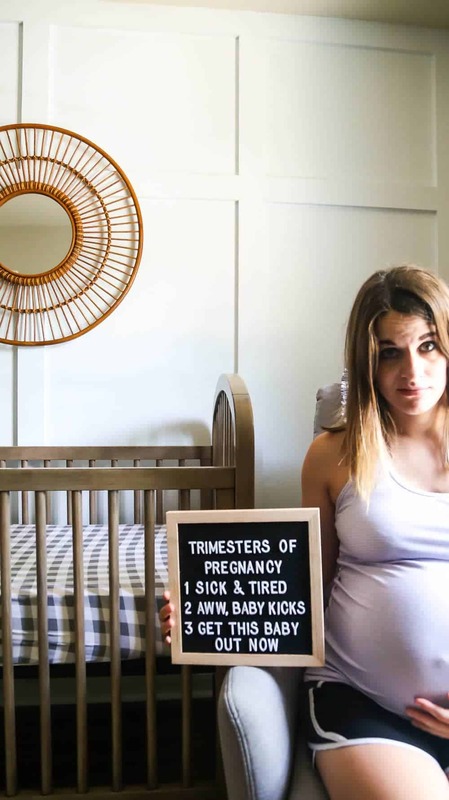 What a week it’s been – it’s been an absolute whirlwind in my house as we’ve been prepping for the imminent arrival of our sweet boy (I’m still a couple of weeks from my due date, but my doctor says he thinks I could go into labor at any moment now). I’ve been running around trying to cross as many things off of my to-do list as possible but also trying to keep at least a few things on the list so I don’t have to just sit around doing nothing until I go into labor. It’s a delicate balance, my friends. One of the things I’ve been working really hard on is prepping for the blog to keep running for a few weeks after the baby is born so I can have some time with him. I don’t want to just disappear on you, so I’ve been diligently working behind the scenes to build up posts for the blog, my newsletter, and my social media channels so everything will keep trucking along while I’m gone. And, happy news (for me at least)? Today is officially the first day of my maternity leave! Starting next week, things will continue pretty much as normal here on the blog, but all of the posts for the next month and a half or so are pre-written. I’ve got plenty of brand new content coming your way, but I’m also re-publishing some old posts from the archives and sharing a few guest posts from my blogging friends. Hopefully, you’ll barely even notice my absence, and I promise I’ll still pop into my IG stories from time to time to check in. But, other than that I’ll be tackling my final few nesting projects, soaking up that newborn baby smell, and adjusting to our new normal as a family of four. Before I head out, though, I wanted to share a few fun posts from around the web this week – you know I love to share when I find amazing inspiration, and this week my favorite blogs did not disappoint! I found this post (and the comments) so fascinating. Times have certainly changed since we were kids! 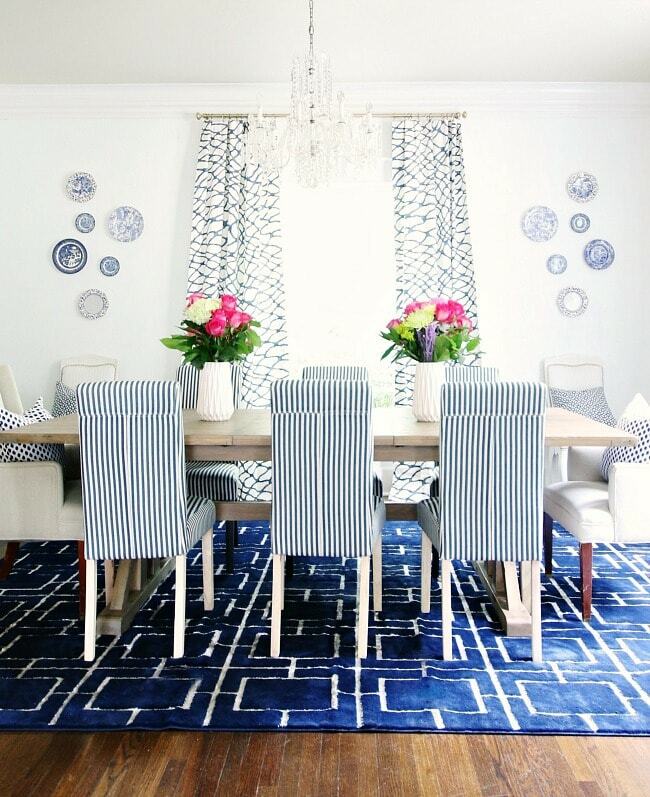 This dining room makeover is absolutely stunning – I love all of the patterns! I absolutely love this simple, neutral kitchen renovation. The before and after is pretty incredible! I just ordered this dress from Amazon – it’s so cheap, and it’s SO flattering! It’s stretchy enough to fit me at 9 months pregnant, but I know it’ll look great once I have the baby, too. This post is pretty much exactly what I needed to read as I head into life with a newborn! I would never have guessed this is a DIY project. I’d love these above our nightstands! What do you think about wall-mounted knife racks? They generally make me nervous, but this one is so, so gorgeous! Had a few questions about the buffalo check rug at our front door – this is the one we got, and I’m loving it! Hope you have a lovely weekend! I’ll see you in a few weeks, friends! 2. Not a parent, but the first link was super interesting! I grew up in a teeny tiny town (there are barely 1,000 people in the town) and I was allowed to go all over the place on my bike as a kid. Didn’t occur to me until I moved to Austin that that probably wasn’t the norm for most kids! Interesting read. I’ll have to look for that dress! I’m obsessed with Amazon clothing lately. And yes, I really found that article fascinating – I lived in a medium-sized town growing up and I remember my mom allowing me to leave her office (I was homeschooled) and walk to the store around the corner all the time, starting in late elementary school or so. I can’t imagine that being an okay thing to do nowadays.